Jaylah and Scotty. FAK Icontest. 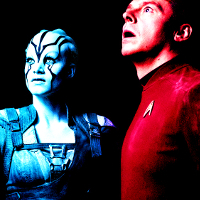 Images in the Star Trek (2009) club tagged: photo star trek beyond 2016 jaylah montgomery scott scotty bibi69. This Star Trek (2009) icon contains anime, comic book, manga, and cartoon.